AVISIAN Publishing is pleased to announce the release of the interactive version of the Summer 2016 Regarding ID magazine. The interactive feature enables a miniature mode that you can thumb through as well as a full screen mode that enables you to read the magazine as if it were on the desk in front of you. In the good ole’ days, logical access was simple. An employee logged on to a PC first thing in the morning to gain access to the device and the local network. It is not so simple anymore. Our working definition of logical access – perhaps even the term itself – must change with the times. Today, it defines a complex provisioning process that manages access to both on-premise and cloud-based apps and data. 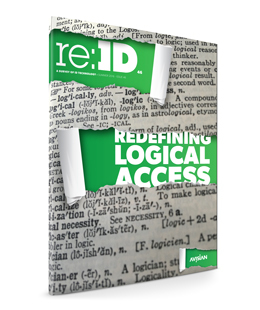 Is your definition of logical access up to date? Constructing a new building enables many opportunities, particularly when it comes to physical access control systems. Instead of relying on old school keys, locks and legacy PACs, new construction presents a proverbial clean slate, opening the door to wireless entry, biometric access points and cloud-based security. Testing and certification can be touchy subjects to those providing physical access control systems to U.S. agencies. While often time consuming and expensive, these steps are also necessary to force products to adhere to government-issued specs. For its Approved Products List, the GSA has abandoned individual component testing instead ensuring components work together as part of a larger system.